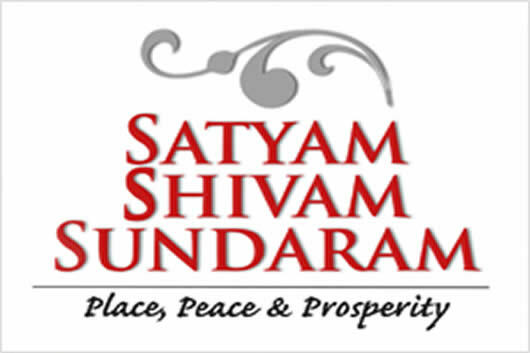 “Satyam Shivam Sundaram” translates as “The True, The Good and The Beautiful”. “Satyam Shivam Sundaram” is a Sanskrit phrase that has significant meaning in the Indian Upanishads. The term, “Satyam” translates as “truth”, “Shivam” means “goodness”, and “Sundaram” stands for that which is “beautiful.” Hence, the phrase “Satyam Shivam Sundaram” translates as “The True, The Good and The Beautiful”. The phrase is been commonly used to describe Lord Shiva, who is the patron Hindu deity of yoga and arts. His name means the “The Auspicious One,” and he is also credited as the God of destruction, and slayer of demons. The phrase was made popular in common parlance by the Bollywood movie, “Satyam Shivam Sundaram”. The movie was release in 1978 and started Shashi Kapoor and Zeenat Aman. It was directed by Raj Kapoor. The film played on the difference between physical love and spiritual love.